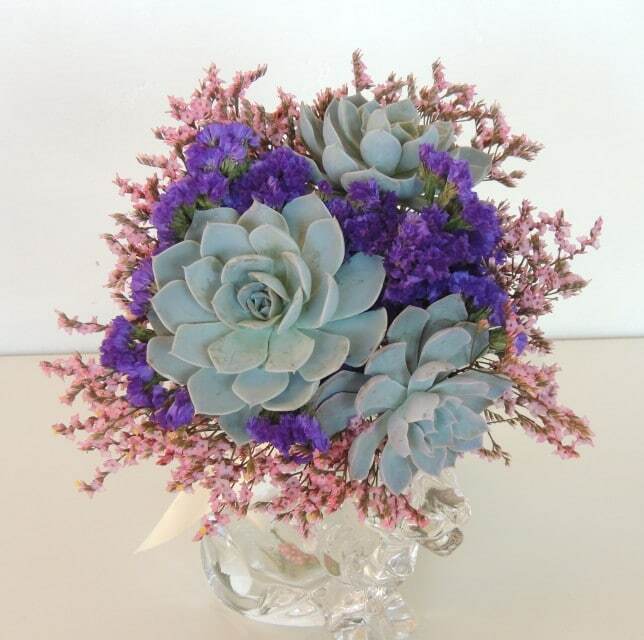 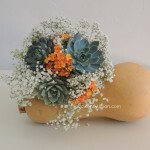 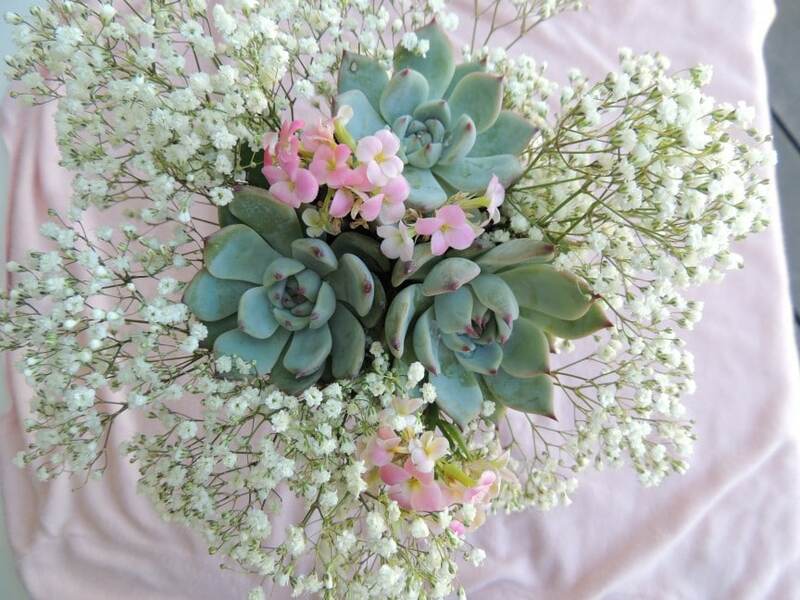 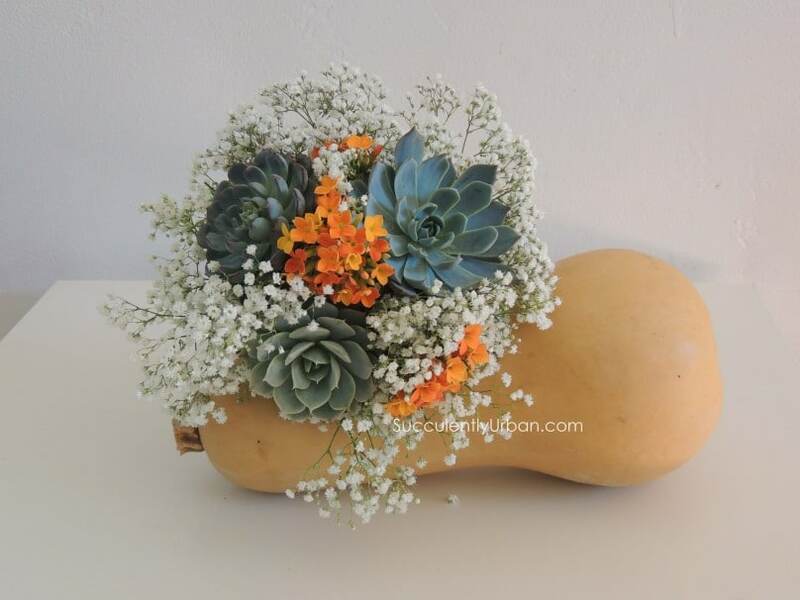 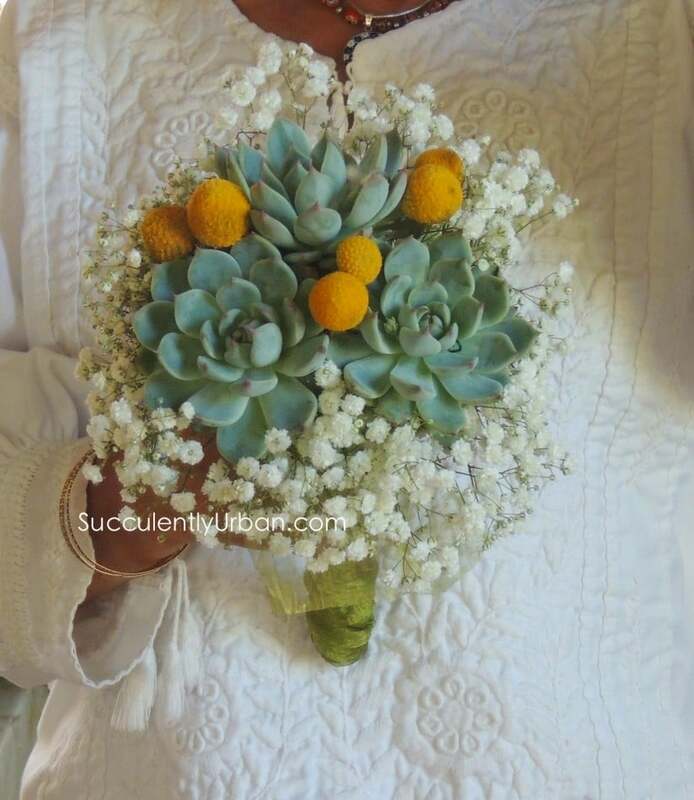 This bouquet is created with three/2.5″ succulents accented with kalonchoe blooms swathed in babies breath. 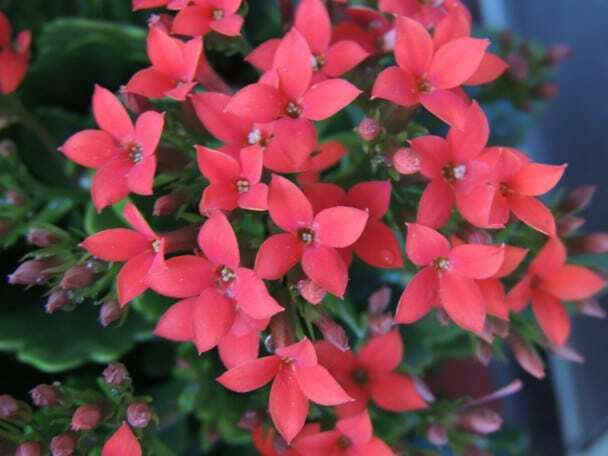 You may choose from the following colors: pink, purple, orange, red or yellow. 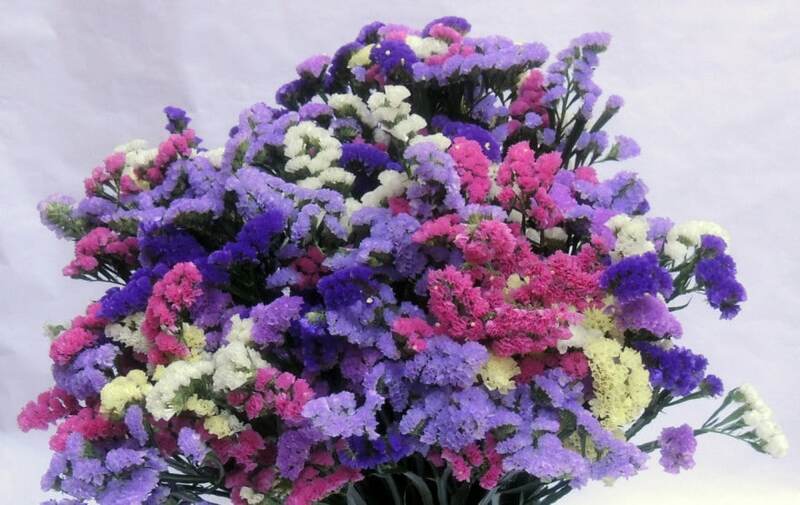 Shipping is set up for express delivery service to preserve the babies breath, certain zip codes only have 2 day service, this bouquet must travel overnight.